Joan Crawford tears up the screen. This great film is a more subtle, nuanced beast than expected. 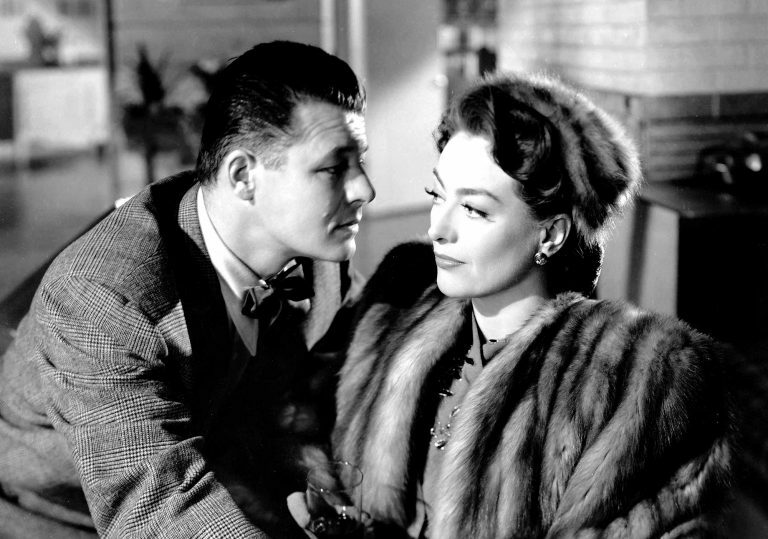 In tandem with a big Joan Crawford retrospective, this moving noir scorcher returns to cinemas. Though director Michael Curtiz will be forever be known as The Dude Who Made Casablanca, this knotty, invigoratingly bleak women’s picture-noir hybrid from 1945, adapted from a novel by the great crime writer James M Cain, remains his masterpiece. Ostensibly a classical murder mystery, with the victim receiving four life-ending cartridges to the chest in the opening scene, the film switches back as suicidal single mother Mildred Pierce (Joan Crawford) offloads her earthly guilt into the friendly ear of a police detective. Despite the film’s rigorously engineered story mechanics, it’s packed with shocking swerves and surprises – to call them “twists” would belie their sensitivity and their believability. It’s a tight genre film that manages to account for the rocky, unnavigable terrain of real life. Pierce lives to serve her daughters, even though highly-strung strumpet Veda (Ann Blythe) is nauseated by her mother’s stiff working class resolve. Though primarily interested in this combustible mother-daughter dynamic, Curtiz also examines how jobs determine and define social status. He asks whether it’s possible, aside from amassing material wealth, for a person to ever truly transcend their class. As various suitors and dastardly bounders enter the fray, seeking affection, or maybe just some play money, Mildred has to constantly keep rethinking her strategy to win Veda’s respect. 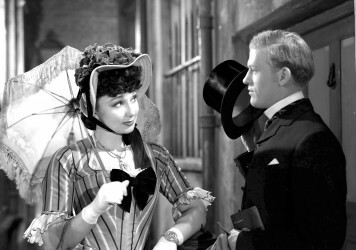 The film might also be considered an early admonishment of capitalism, with characters quick to dissolve a fast friendship with the promise of a few easy bucks. Crawford plays it headstrong and serious, with minimal sass. Blyth excels as the devil incarnate, even if the levels of acrimony are at times a little hard to palate. 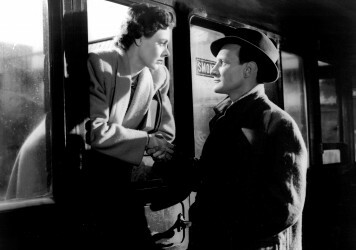 Rural train platforms were transformed forever by this high peak of screen romance from David Lean. Is this the most subversive femme fatale in movie history? How a young actress named Googie Withers stole the show in British noir Pink String and Sealing Wax. 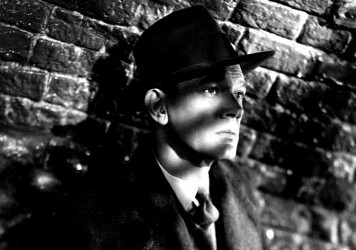 The moral minefield of Carol Reed’s The Third Man insures its place in the pantheon of greats.